(Bloomberg) -- Sentiment among U.S. homebuilders climbed to a six-month high in April, another indication that the housing market is gathering momentum during the crucial spring season. The third gain in four months points to a strengthening housing sector, with potential homebuyers aided by cooling mortgage rates, sustained wage gains, and a slower pace of home price appreciation. The Federal Reserve signaling that it will keep interest rates on hold for at least the rest of the year bodes well for borrowers, aiding affordability. NAHB’s gauge of present sales climbed for a fourth month to reach a six-month high. Continued employment growth and lower interest rates are likely to help to modestly support near-term sales growth, NAHB Chief Economist Robert Dietz said in the report. Reports in coming days may show more signs the housing market was stable in March. New-home groundbreakings are forecast to have risen from the prior month, while existing home sales are projected ease from February’s jump, the biggest since 2015. 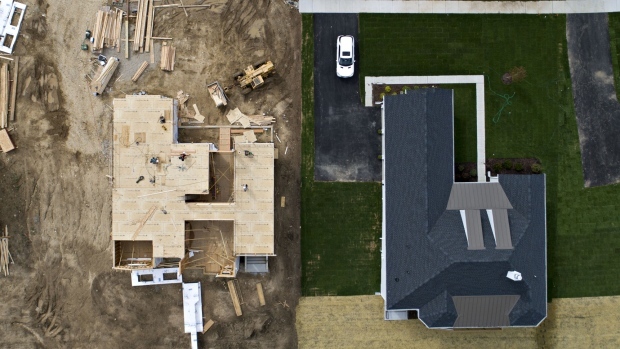 “Builders report solid demand for new single-family homes but they are also grappling with affordability concerns stemming from a chronic shortage of construction workers and buildable lots,” NAHB Chairman Greg Ugalde, a home builder and developer in Connecticut, said in a statement. Three of four regions advanced, led by the strongest gain in the Midwest since 2017, while the South, the largest region, declined. The Northeast rose to the best level since October and posted the strongest reading for the month of April since 2005. The buyer traffic index rose 3 points to 47. The future sales gauge of fell 1 point to 71. Despite strengthening, sentiment remains below a post-recession peak of 74 in 2017.